The ancient mosaic tile floor, although repaired many times, still shows its original signs of the zodiac and other early Christian iconography. 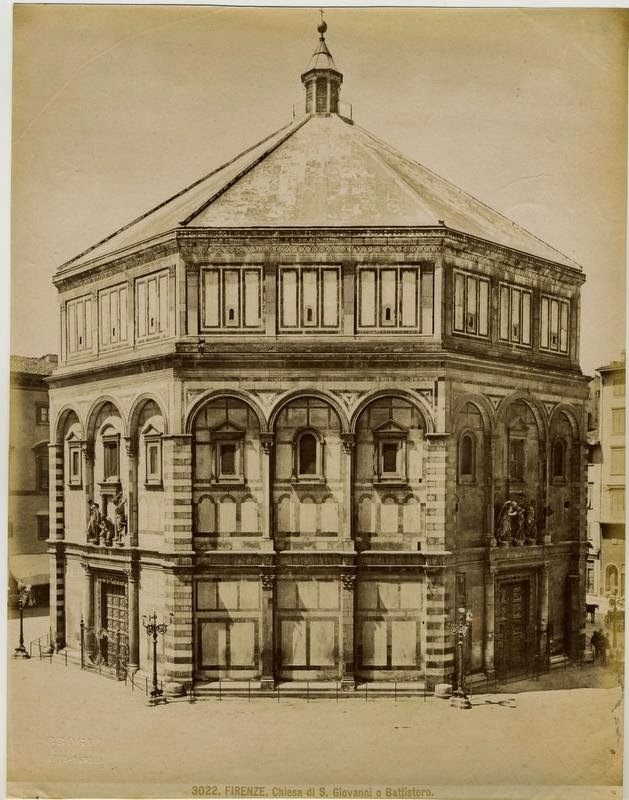 As a newborn infant, tightly wrapped in swaddling, Antonio Neri would have been carried across that floor, busy with families and children, and then gently handed to the priest, perhaps by his father, already a famous physician. Joining them would be his grandfather the barber surgeon, his other grandfather the lawyer to Michelangelo, his godparents, other family, friends and perhaps a wet nurse. His mother stayed at home with her close friends to recuperate from the ordeal of birth, and to prepare for a neighborhood celebration. 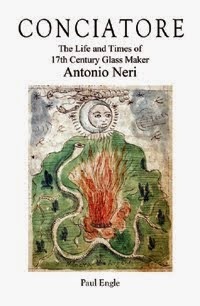 Even in the dead of winter, if Antonio Neri's eyes were open, the sparkling glass mosaics covering the entire domed ceiling of San Giovanni could not have failed to catch the wandering eyes of this future glassmaker. *This post first appeared here in a slightly different form on 11 Nov 2013.